NEO was ranked as the #2 LMS for Higher Education in the “Top 50 LMS 2016 Rankings Report” written by Craig Weiss, the author of the Elearning 24/7 blog and well known e-learning industry analyst. 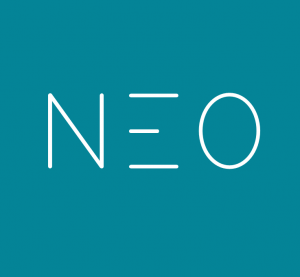 NEO, the simple, powerful LMS for schools and universities, was ranked as the #2 LMS for Higher Education in the “Top 50 LMS 2016 Rankings Report” written by Craig Weiss, the author of the Elearning 24/7 blog and well known e-learning industry analyst. This year’s report brings the insight and information you want and need in today’s global environment by conducting a review of 690 systems. NEO is a world class, award winning LMS for use by schools and universities. The platform is known for its easy-to-use and beautiful user interface, comprehensive set of innovative features, and pricing that provides great value for money. With NEO it’s easy to create great classes that students will enjoy anytime, everywhere. NEO is a product of CYPHER LEARNING, a company that specializes in providing e-learning platforms for organizations around the world. CYPHER LEARNING provides a similar LMS for use by businesses called MATRIX, which was ranked #1 LMS for Small Businesses in this year’s report. This makes CYPHER LEARNING the only company to have two LMSs in the Top 50 LMS 2016 report. Both NEO and MATRIX are known for their beautiful user interfaces, comprehensive set of features, pricing that provides great value for money, and professional support staff. CYPHER LEARNING is a company based in San Francisco that specializes in providing e-learning platforms for universities, businesses, and organizations around the world. The company has two products: NEO an LMS for schools and universities and MATRIX, an LMS for businesses. NEO and MATRIX are used by over 20,000 organizations, support 40+ languages, have millions of users, and have won several awards.